Join me for a personal styling experience with a twist. Together we’ll search for clothes that make sure you look and feel amazing whilst at the same time caring for our environment. That’s right my Preloved Personal Styling experiences will focus on finding fabulous clothes from the second-hand shops. Looking for a work outfit or something for a special occasion but feel frustrated by the sameness of clothing on the High Street? 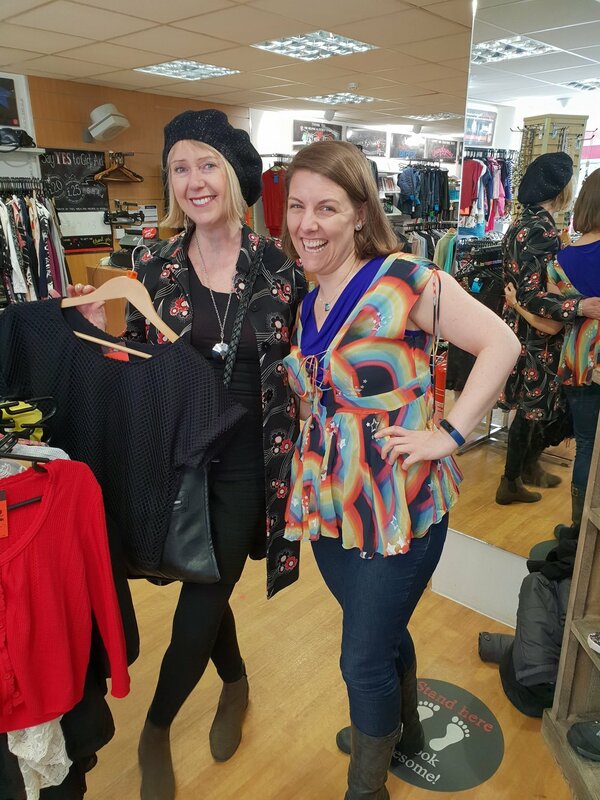 Join me for a unique experience visiting the charity and second-hand shops where we’ll find amazing, one-off clothes to suit your body shape. And the great thing is we won’t ever go over budget. Whether you’re new to this way of shopping or you’re a seasoned preloved shopper, be prepared for some surprises as each experience will be unique and memorable. At the end of the edit, we’ll decide which clothes to keep and which need to be donated. I promise you’ll have fun, you’ll get my honest advice on clothes that flatter your body shape too. And we’ll look at the colours that best suit your skin tone. Whether you’re at work or relaxing in a bar, how you dress is important. Book your own wardrobe edit or personal shopping experience to select the best clothing styles, cuts and fabrics that work for your build, natural colouring, lifestyle and personality.